Business security experts agree that small businesses should ask qualified firms to perform security reviews of their businesses and premises to find the right system for their needs. Before signing any contracts, owners should walk through their facilities with prospective security firms, who should understand how the business works to accurately assess the company’s needs. They should review entrances and exits, vulnerabilities and physical structures, the number of employees and how they arrive and leave work. They should know the business’s hours of operation and what happens after closing, then design a system based on the business’s schedule and who is authorized to be there. Small business owners should hire an outside consultant to perform a security review. To insure unbiased advice, they should select someone with no vested interest, who would not be bidding for the job and with no incentive to sell anything. The security review should describe what the owner needs. Based on that information and the consultant’s advice, the owner can then bid the system with greater certainty. Ask for and check security company references, don’t just leaf through the Yellow Pages or look them up on the Internet. That improves the odds of choosing the best contractor. Owners should request a per door price for their business’s security system, noting that a typical convenience store might require a three or four door system. Small business owners should seek to install security systems that are scalable and allow expansion later so they don’t have to start from scratch when change is needed. Security consultants recommend contracting with local security firms or national companies with local offices, someone available and accountable. Avoid signing long-term contracts. If you don’t like the service or product, you can switch without fear of legal repercussions. Security experts warn that some firms encourage business owners to spread out payments for equipment over years, not realizing until it’s too late that they’ve made interest payments that collectively cost more than the equipment. When building or remodeling your business, hire your security consultant to work with the architect in the design and construction process. Security experts said that will save time and money in the long run. 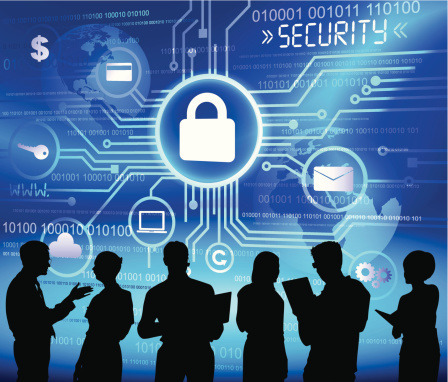 U.S. businesses spent $319.1 billion spent on information technology and operational security products and services in 2013, a figure predicted to grow to $341 billion in 2014 and $377 billion in 2015. Operations—security equipment and services—accounted for $217 billion in 2014 spending and IT $123 billion. The security products segment of the industry, which accounted for $31.1 billion in 2013 spending, is predicted to grow to $34 billion this year, nearly tripling since 1990, which U.S. companies spent $11.7 billion. 19% of companies plan to increase spending on alarms, 14% plan to spend more on perimeter protection (fencing) and 33% expect to increase spending on the fastest growing segment of the security products industry, video surveillance. Spending on surveillance infrastructure and cable are predicted to double by 2018. Information Source: “United States Security Industry Survey of 2014,” by the Institute of Finance & Medicine and the American Society of Industrial Security (now known as ASIS International).